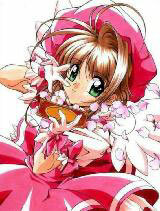 You are going to Watch Cardcaptor Sakura Episode 20 English dubbed online free episodes with HQ / high quality. Stream Anime Cardcaptor Sakura Episode 20 Online English dub Transfer Student vs. Sakura, When Syaoran enters the room, he’s markedly pale and haggard compared to his usual tough-and-healthy look. When Meiling enters the room, it’s clear that her presence has exhausted him and he is desperate to escape it. Mr. Terada explains that she is from Hong Kong and cousin to Syaoran. Meiling is quick to add that she is actually his fiance, and obviously believes Sakura wants to take Syaoran away from her. Syaoran asks Meiling why she came, and she answers that she was lonely for him. He explains that he’s not going back until he gets the Clow Cards, but she doesn’t particularly care about that. She reminds him that a fortune-teller in Hong Kong predicted someone else would get them, a reminder that clearly grates on his nerves. It’s only after he makes it clear he won’t return home without the Cards that Meiling decides she will get involved and ‘help’, so that he can collect them faster. Meiling is just as competitive as Syaoran, and indirectly challenges Sakura to a gymnastics competition.